New fish passage opens 11.2 miles of prime habitat for endangered salmon that had been blocked for decades. 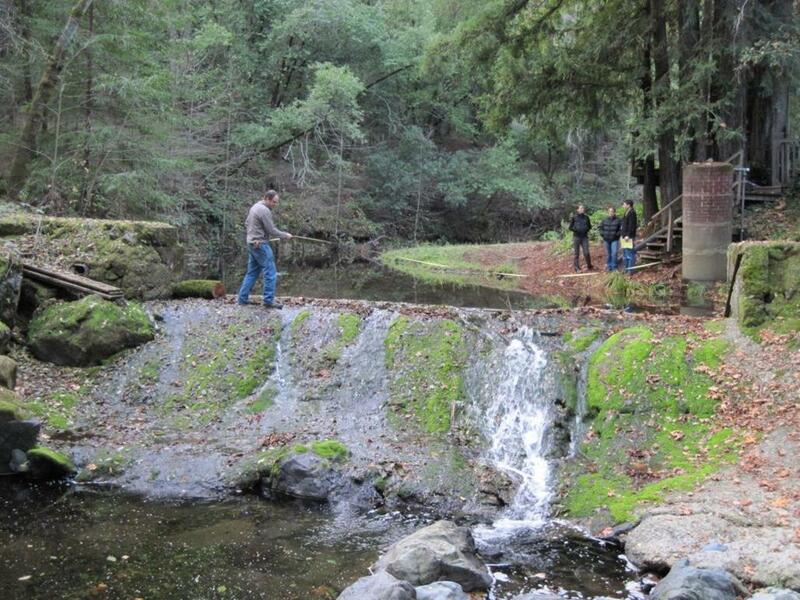 Salmon conservation achieved a major victory this October as construction finished on a fish passage and stream restoration project in Mill Creek, California. After California Sea Grant identified that a flashboard dam was stopping endangered coho salmon from moving upstream, a recovery plan by the NOAA National Marine Fisheries Service billed it as the highest priority barrier for remediation in the Russian River. Mill Creek winds past redwood forests, vineyards and private homes west of Healdsburg, California. A major tributary to the Russian River, it harbors some of the best habitat for federally endangered coho salmon and threatened steelhead trout in the watershed. Obedzinski expects that to change now that the new fish passage has opened up 11.2 miles of prime stream habitat for juvenile salmon that had previously been blocked for decades. 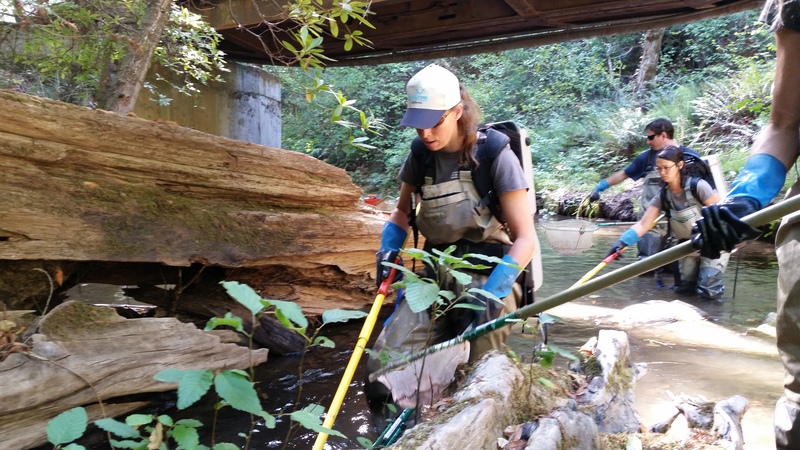 “The reach of Mill Creek upstream of the dam has cold, clean water, and the most important thing is that it remains wet all year long, even in extreme drought years,” said Obedzinski, adding that previous enhancement projects have increased pool habitat and shelter for the fish. Construction of the fish passage was completed by Trout Unlimited and Prunuske Chatham, Inc., who conducted years of planning and negotiations with local property owners. 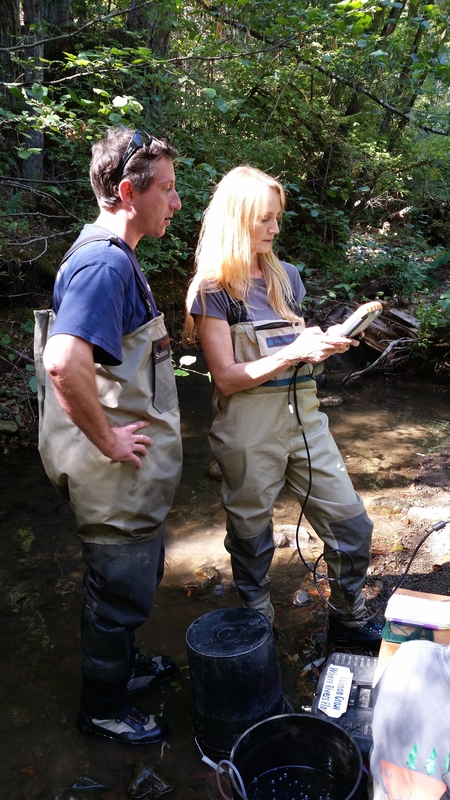 Funding was provided by the NOAA Restoration Center’s Community-based Restoration Program, the California Department of Fish and Wildlife’s Fisheries Restoration Grant Program, and the Sonoma County Water Agency. Local landowners made a key contribution by providing access to the restoration site, even allowing heavy machinery to cross and operate on their property. That’s a promising start to a new phase of recovery for the Russian River’s once prolific salmon runs – coho, Chinook salmon, steelhead trout and all.